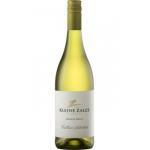 The Kleine Zalze Cellar Selection Bush Vines Chenin Blanc of Kleine Zalze: a white wine from Stellenbosch from the chenin grapes. At Uvinum, this white wine scores an average rate of 4 of 5 points. What are the opinions of other vintages or volumes of Kleine Zalze Cellar Selection Bush Vines Chenin Blanc?